Updated: Pizza Adventure Week is now full. The N.C. 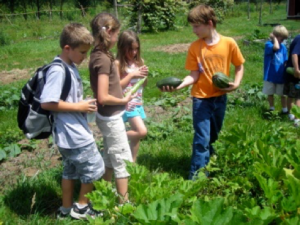 Cooperative Extension, Watauga County Center will offer a Pizza Adventure Week: Local Foods for Local Kids day camp this summer. It will run Monday–Thursday, July 15–July 18, 2019, from 9 a.m.–3 p.m. each day. This day camp is for 6 – 10 year olds. Explore local sources of food as you collect ingredients for pizza. Make pizza from scratch and enjoy other food fun. See a cheese factory, milk a cow, visit other farms and more! We will start and end each day at the Agricultural Conference Center in Boone. The fee is $80 for the week. Make check payable to Watauga CES. Register at N.C. Cooperative Extension, Watauga County Center, 971 West King St. in Boone, call our office at 828-264-3061 or email Margie_mansure@ncsu.edu or Kirsten_dillman@ncsu.edu.